Zanchin Automotive Group is looking for its customized app to be used by customers as much as those individuals might hit their smartphone button to access Amazon or Instagram. Mobile Einstein, a provider of geo-mobile sales solutions for dealer groups, recently announced that it has partnered with Zanchin Automotive Group, one of the largest dealer groups in Toronto with more than 32 locations and 18 brands. Officials highlighted the partnership is geared to enable the group to deliver an enhanced omni-channel experience via the Zanchin Automotive Group mobile app. Mobile Einstein insisted that customers are becoming increasingly mobile and expect to interact with their dealerships of choice through new digital channels. This partnership is designed to provide Zanchin Automotive Group with a branded mobile app for its family of dealerships. Customers and potential buyers can download the free dealer app to their smartphone, providing a personalized customer and shopper experience with personalized notifications, targeted geo-fencing, easy service scheduling, roadside assistance, live chat, inventory browsing, test drive scheduling, mobile offers, customer referral programs and digital loyalty rewards, to name a few. “We pride ourselves on delivering an enhanced customer experience, and for years Zanchin has built confidence with our customers who purchase and service both new and pre-owned vehicles from us. The way customers interact with the dealership is changing, and we have to change with it and offer options,” said Andria Zanchin, principal and executive vice president at Zanchin Automotive Group. As dealers like the Zanchin Automotive Group look to focus on fixed operations as a principal source of profitability, Mobile Customer VIP by Mobile Einstein can help dealerships optimize service revenue and retention by connecting with customers via their smartphone with timely automated alerts and offers during opportune moments in their vehicle lifecycle, such as an oil change, tire rotation, brake service, maintenance checkup and more. The growth in GPS technology is giving rise to a trend in localization for the automotive industry. Geo-Mobile Sales by Mobile Einstein can allows dealerships to set a virtual perimeter around their location as well as competitor lots. When customers and potential buyers pass through the perimeter, they trigger a timely and personalized notification to their smartphone, with an effective call-to-action to visit the dealership’s sales and service center. Creative call-to-actions can foster visits and participation such as a digital scratch and win, a loyalty reward, a virtual tour, a digital coupon, or a pop-up sales event. With Geo-Mobile Sales, the Mobile Einstein solution can alert the dealer’s sales and service staff when customers and prospects are visiting a competitors’ lot, and prompts them to initiate a timely and personalized follow up based on detailed analytics on the name of the buyer, the dealership they’re visiting and time of day. With this critical insight, dealerships can boost local awareness among prospects looking to purchase a vehicle and retain customers looking to schedule a service appointment. And now the Zanchin Automotive Group has these tools from Mobile Einstein. 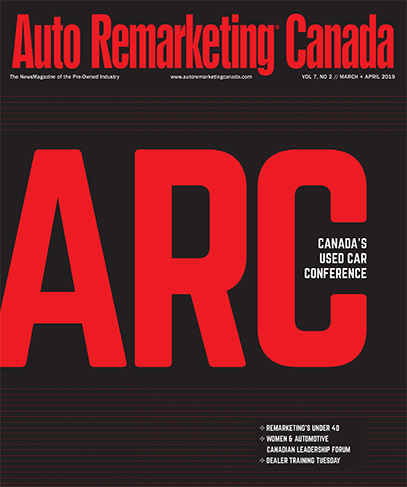 “While dealerships will continue to play a significant role as primary channels for building personal contact and relationships with customers, they will need to adapt their sales and fixed operations’ infrastructure to a new generation of consumer preferences that necessitate a mix of physical and digital presence,” said Tony della Busa, president and chief executive officer of Mobile Einstein. “Forward-thinking leaders like Zanchin Auto Group are enhancing their mobile strategy by engaging shoppers at every stage of their buying journey. This targeted form of mobile communications is helping their family of dealerships to gain the ultimate competitive advantage by engaging customers at every key moment in their vehicle ownership lifecycle,” della Busa went on to say. More details about the company products are available via this video or by going to mobileinstein.com.